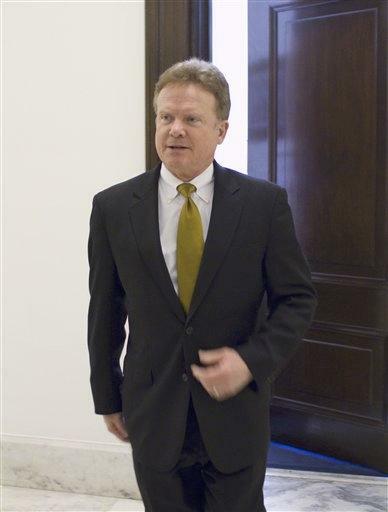 RICHMOND, Va. (AP) - U.S. Sen. Jim Webb of Virginia says he plans to push for passage of criminal justice reform legislation before he leaves the Senate in nearly two years. Webb contends that the current system incarcerates too many people at too high a cost, with poor results. He said legislation got bogged down last year but that he's confident it will pass in this session. "We're going to get it done," the 65-year-old Democrat told The Associated Press in a brief phone interview on Friday. Webb announced this week that he had reintroduced the National Criminal Justice Commission Act to create a panel to review the system and make reform recommendations. He noted that the measure had bipartisan support last year, clearing the Senate Judiciary Committee and passing the full House of Representatives. The senator's announcement Wednesday that he would not seek re-election set off a scramble among Democrats to field a candidate who could hold the seat for the party in 2012. Many Democrats hope to recruit former Virginia Gov. Tim Kaine, chairman of the Democratic National Committee, to run. The move could further imperil Democrats' hopes of maintaining their narrow Senate majority. Webb told the AP that he's leaving office at the end of a single term because he's got nothing more to prove. He said he has accomplished much of what he campaigned on in 2006, when he successfully launched a long-shot bid to unseat then-Sen. George Allen. "We spent a lot of time thinking about it," Webb said. "It's an eight-year decision, not a two-year decision. I'm very competitive, you know that, but sitting down with my family, we said, 'Six years is about right for me.'" Republicans, intent on winning back the seat they lost with Webb's narrow victory, believe his exit improves their odds. Among the declared Republican candidates is Allen, a former Republican governor and congressman who served one Senate term. He is the son of the late NFL coach George Allen. Webb laughed off the suggestion that he was influenced by the prospect of a tough rematch against Allen. "You can't let this get personal," he said. Allen already faces one opponent for the GOP nomination, Virginia tea party activist Jamie Radtke, and others are considering a run. Webb said he takes pride in several achievements, including sponsoring and guiding a new package of benefits for U.S. military veterans, the GI Bill of Rights, through Congress three years ago. He had campaigned against what he believed was an imprudent decision by Republican President George W. Bush to commit U.S. troops into Iraq, a conflict in which Webb's son fought as a Marine. Webb has seen the drawdown of American combat troops there. While Webb said in a statement Wednesday that he plans to remain involved in issues, he made clear in the interview that he doesn't think he has to stay in the Senate to effect change. The Senate, he said, should not become a career. "My view of this is kind of old school. The way this place was designed, the Senate was sort of the gathering of the citizen-legislators, people who could bring experience from other areas into the national debate," Webb said. A Naval Academy graduate and decorated Marine veteran of the Vietnam War, Webb brought a broad resume to the Senate. He was a lawyer, Navy Secretary under President Ronald Reagan, combat journalist, best-selling writer of novels and movie screenplays about Vietnam combat before bolting the GOP to run for the Senate in 2006 as a Democrat. "I think I've given our country and the people who elected me exactly what I told them I would give them. I've given them a full measure of my devotion for six full years," Webb said. "That's about it."